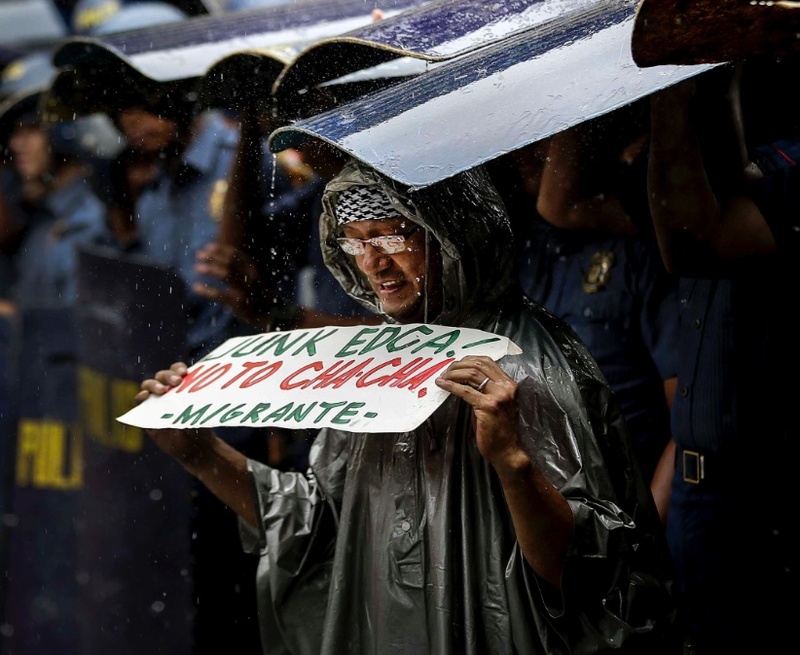 This is an antiwar activist in Manila, Philippines yesterday standing with others in front of the US Embassy in the pouring rain to protest the signing of the Enhanced Defense Cooperation Agreement (EDCA). The EDCA is a military agreement to allow US military forces & facilities back into the country. The Filipino people have paid a terrible price for the strategic importance of their location to US war & colonialism.